The Ether Way: Good Anesthesia Matters! The anesthesia world is spinning up to a tizzy over the upcoming theatrical release of the movie "Awake." For those of you living "off the grid", Awake is a story about a poor victim who has the extraordinary misfortune to be subjected to cardiac surgery awake/paralyzed. None of us have seen this movie, but advanced word is the anesthesia folks aren't favorably depicted. I am really, really looking forward to its release. For a lifetime, I have wholly devoted myself to my craft; medicine and anesthesiology. While I have not minded being in the background behind my surgeons, I have, over thirty years, grown tired of the surgical attitude that what I do is trivial; of course it is, because if it weren't, well, they'd be doing it themselves, wouldn't they? And if I and my colleagues had been made of better stuff, we would have gone into surgery. What a load of nonsense. One slip of the surgeon's knife, and a patient's meaningful life is over. Just so, one mistake with a syringe of vecuronium, and a patient is dead, or perhaps, worse than dead... The truth is, if I don't practice smartly and on form, patients will suffer and perhaps die in ways both obvious (aka "Awake") and subtle (ie high blood glucose leading to higher post-op infection rates) It's about time everybody understood it. It doesn't help when colleagues (especially CRNA's, I note over the years) minimize what they and we do; "oh you're going to take a little nap while your (big strong) surgeon operates on you." I even avoid the use of the word sleep to describe what I do. I usually say "sleep is what you do at night. It is free and natural, but if your surgeon were to attempt to operate while you are asleep, you would wake up in great pain. What I provide is drug induced unconsciousness, not unlike a temporary coma. You will not wake up until I reverse the process. It is a safe procedure in my hands, and I will stay with you the entire time to maintain this state and see you safely through." I have no tolerance for anybody who suggests that I am scaring patients like this; it is simple truth, which is the stuff of informed consent. A little patient apprehension about their upcoming anesthetic is a good thing-it's appropriate. And if the patients get the idea that who is giving their anesthetic; their education, dedication, compassion and diligence, matter to their outcome, well, then, so much the better. Because it's true. Where I come from, there' was a saying; "a good surgeon deserves good anesthesia. A bad surgeon needs it." I can't remember all the times I've had to hold a patient together physiologically while the surgeon tried to work his way out of a nasty situation. I have auscultated the hearts of 20000 patients to avoid missing that once-in-a-lifetime patient with critical aortic stenosis who would otherwise die on anesthesia induction (I've found 2). I've sniffed around thousands of diabetics for a whiff of the coronary artery disease that might progress to a fatal perioperative MI. I've sat on the floor of the holding area hundreds of times looking up at anxious three year olds and their parents, quickly forging a rapport that I could leverage into a less scary induction. I can deal with healthy patient fear; it just takes a little time, some patience and explanation. I hope that every patient for the rest of my career has the good sense to ask me what I'm going to do to keep them alive, and how I'm going to prevent the excruciating agony of their being awake "under the knife", and then I hope they look me in the eye as I explain it all, to be sure they see a soul they can trust. And if anesthesia leadership on both sides of the aisle (AANA and ASA) settle for some bland reassurances about anesthesia diligence and try to undermine the message of "AWAKE" by pointing out the inevitable inaccuracies they will find in the movie, than they (and we) ought rightly to be banished to the back benches of the medical pecking order. yup. the pdf file of that article sits on the desktop of my old I-book for inspiration; I've been thinking about writing a post about it for a bit, but you just beat me to it! It's fun, too, to go through those old issues, eh? Thanks for stopping by; nice to hear from you. Thanks for this. As a double heart valve surgery patient, I'm always on the lookout for intersting information. This definitely qualifies. ... which is clearly wrong -- everybody knows that it's a syringe of White Stuff. hmmm...would you believe I use a lot of etomidate? Thanks for stopping by. In the flip-side of your good surgeon/bad surgeon idea, it's easy to appreciate the difference between good and bad anesthesia as well. And, as a result, to recognize that there's a lot more to it than big syringe/small syringe. I've been lucky to have worked with by far more excellent anesthesiologists than the other kind. I think I've let them know how much I appreciate it. I hope I have. Surgery is much easier when patients hold still; more gratifying when they wake up. Yes, it is difficult that the patient is unconscious during our care, and after all goes well they wake up feeling fine and thinking that nothing significant happened. I think it is important that we take the time to develop a rapport with our patients before and after their anesthesia. There is no reason to be afraid of TIVA; it is a good technique and isn't really more likely to cause awareness. 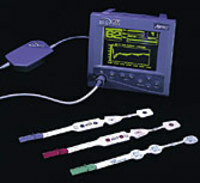 (which is exceedingly rare, in any case) If you are particularly anxious about awareness, ask them to use a BIS monitor; the data suggests that BIS monitored patients don't have a lower incidence of awareness than carefully supervised patients without BIS (who have a very low incidence of awareness already), but I use it frequently as another (albeit imperfect) monitor of consciousness. If your previous anesthetic was more than 6 or 7 years ago, you have a decent (but not 100%) chance of not being nauseated post-op; just tell your anesthesiologist that you have had prior nausea issues and he will most likely avoid nitrous, and use a combination pharmacologic anti-emetic strategy. Nausea lasting 48 hours is likely due to the narcotic analgesic that you'll need post-op anyway. If your hospital supports an acute pain service with epidural infusion anesthesia, that might help as well. In any case, if you didn't get a good feeling from the anesthesiologist on the phone, discuss this with your surgeon, and see if there is a member of the group that she recommends that you could request; everybody is different, and sometimes a little doctor shopping is in order until you find somebody you're comfortable with.. Thank you so much for your response. I wish I could find a surgeon and an anesthesiologist who are as reasonable and reassuring as you. From the anesthesiologist's tone of voice, I got the impression that he was annoyed by my asking for TIVA and was trying to frighten me away from it by the awareness comments. He said that he doesn't normally use it. The surgeon then called and said that he had heard from the anesthesiologist, and that in his (the surgeon's) opinion, I could be risking the outcome of my surgery by requesting TIVA, as he and the anesthesiologist had a long-standing surgical routine worked out based on gas inhalation and my request would alter that. He added that he could not understand why I would object to the "minor discomfort" of nausea and vomiting as the result of the surgery. This is the second surgeon I have consulted, as the first refused my request to speak to the anesthesiologist other than just prior to the surgery. I would love to conduct some "doctor-shopping", however it is a two-fold obstacle - first find the surgeon who is even willing to let you have the conversation and then start running down the list of anesthesiologists. I always preface my request with an explanation of my history and a statement that I'm not trying to tell them how to do their job, I'm just trying to get the best result for me. Unfortunately, I'm getting some veiled (and not so veiled) hostility in the responses. I've been told that I should not be doing research or talking to others, and that I'm asking way too many questions. They're not all like you - I though you might like to know that, if you didn't already. It is very important to have a good anesthesiologist in the OR. Any surgical procedure that requires anesthesia, such as hip replacement surgery with a Pinnacle device, does have increased risks such as heart arrhythmias, liver toxicity, and pneumonia. These could make a case for a potential DePuy Pinnacle lawsuit. Thanks for the information!